JUMC has fellowship and worship that is geared towards teens and adults with special needs. What does the ministry consist of? Participants will spend time together relating bible lessons to their own lives, and engage in small group discussions. There will also be music and fellowship time. 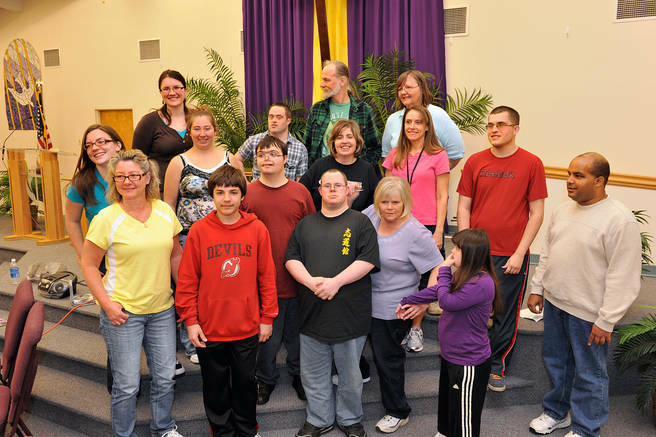 This is a group of adults and older teens with cognitive and other disabilities, that through music, skits, activities, videos and materials supplied through Friendship Ministries, are growing in faith and friendship. Meetings take place on the first two Mondays of every month from 7 to 8:30 pm. If you are interested in participating, please contact the church office. If you are interested in volunteering or helping with the bible study, please contact Meredith Markov.